The heart of the home – that’s the other term used for kitchens, and with good reason, too! 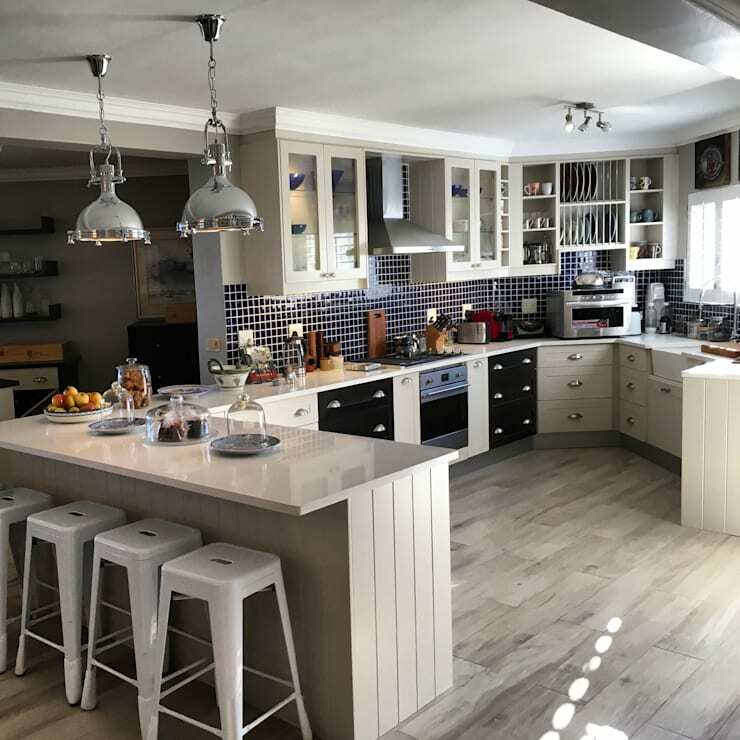 Just think about how often a home’s kitchen becomes much more than the space where we cook – it is also one of the most effective rooms for socialising, working, studying, etc. But having said that, it would be so nice if all kitchens were spacious and roomy, allowing us to socialise (and work, and study, and keep an eye on the kids while they do homework, etc.) to our hearts’ content. Unfortunately, small kitchens are the majority. But if there’s one lesson we here at homify try to teach, it’s that ‘small’ doesn’t need to mean ‘cramped’. Just because your kitchen doesn’t have lots of legroom or is flush with counter space, doesn’t mean it can’t be charming or stylish. 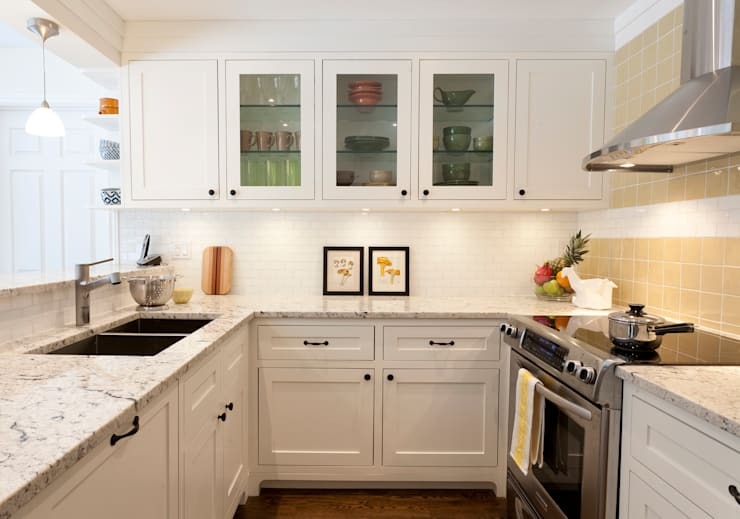 To help you make the most of your tiny kitchen, we’ve gathered these small kitchen designs (that make use of various cabinets, flooring materials, interior styles, etc.) that can turn ‘small’ into ‘cosy’. 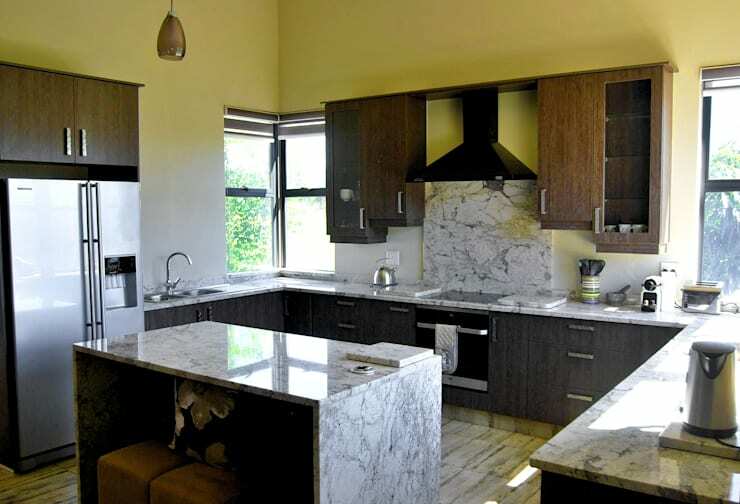 This is the most popular kitchen style when it comes to bachelor flats, studio apartments and other open-plan spaces. While everything is at hand (and limited to a single row), this layout is seriously lacking in counter space. The solution? Think about bringing in a table to perform the functions of a kitchen island. Even a narrow console can work as a spot for food prepping and serving. 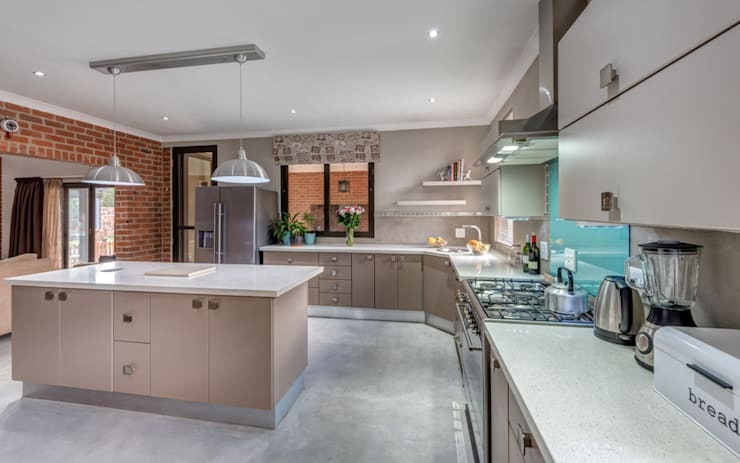 ▶ homify hint: Your one-wall kitchen doesn’t need to be the focal point of the open-plan layout. Install folding doors or panels to effectively close it up (and hide away the clutter) when your kitchen is not in use. 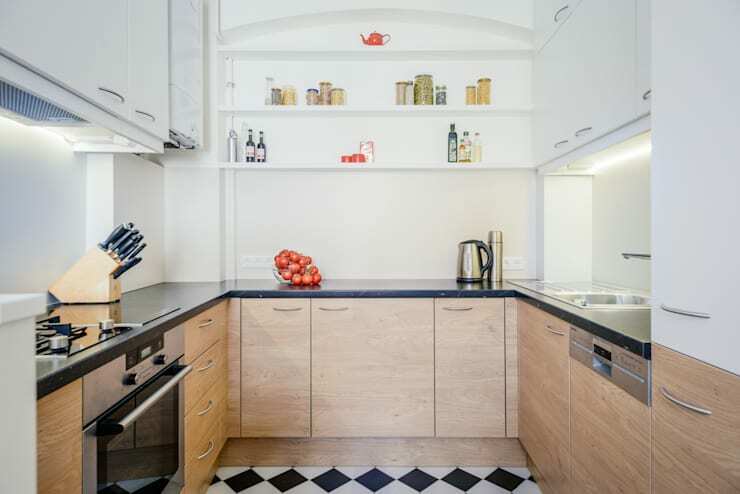 Quite the common choice for small urban flats, a galley kitchen has a hallway-like layout with two parallel walls. This results in a lot of them feeling quite cave-like, yet there’s a solution to this problem. Simply remove the upper cabinetry and replace it with shelving. This can really help to open the space up and make it feel (and look) less claustrophobic. Limit tall storage to the pantry area, where you can keep bulky items that you don’t use frequently, rather than placing them on the counter. ▶ homify hint: It can be difficult to open up a galley kitchen, especially in older building where those parallel walls hide pipes. But to bring in a touch of extra light and air, remove a small section of the wall. A portal or open corner can help connect the kitchen to the rest of the living space. 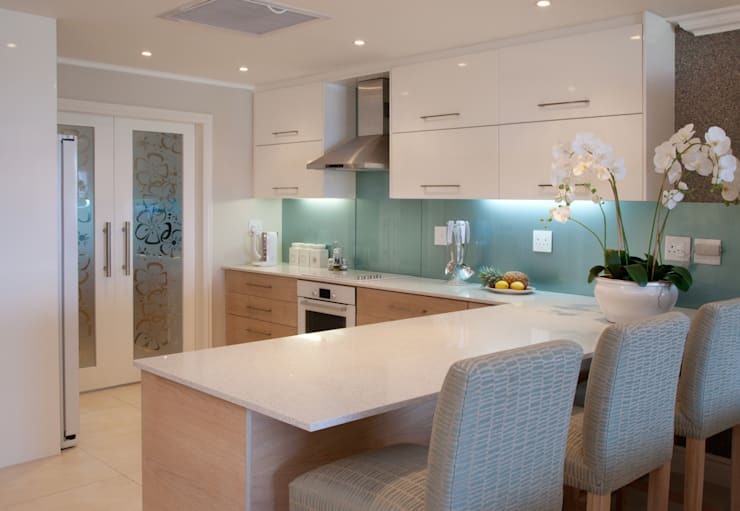 The G-shaped kitchen has a peninsula / extra counter that extends from the U-shaped layout, adding more counter space. We recommend using that extra counter area for informal dinners, your morning coffee, working from home, a homework spot for the kiddies, etc. Simply add a few barstools, et voilà! ▶ homify hint: Ensure your working area is sufficiently lit by hanging down a few pendant lights directly above the counter. 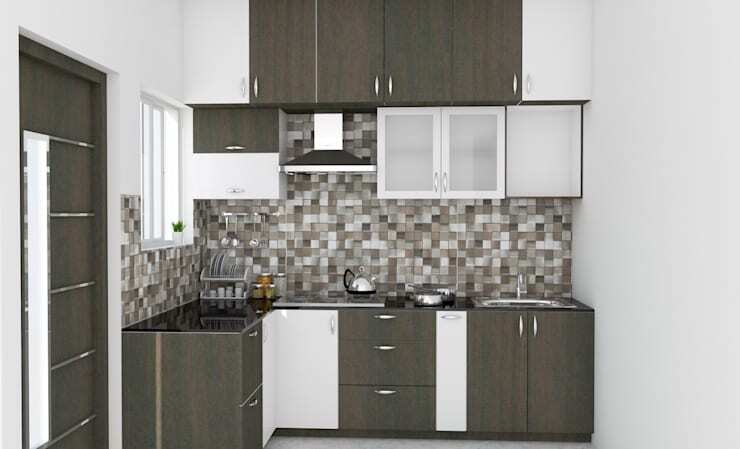 These can also function as décor pieces to add extra style and character to your small kitchen. The L-shaped layout places the counters along two perpendicular walls and makes use of a single corner, leaving the rest of the space open. Also called a horseshoe layout, the U-shaped kitchen offers plenty of counter space and under-counter storage. The great thing about this layout is that, even if your kitchen is on the narrow side, you can still bring in a slim island. Consider a rolling island / kitchen cart which can be pushed out of the way once you’ve finished prepping those meals. 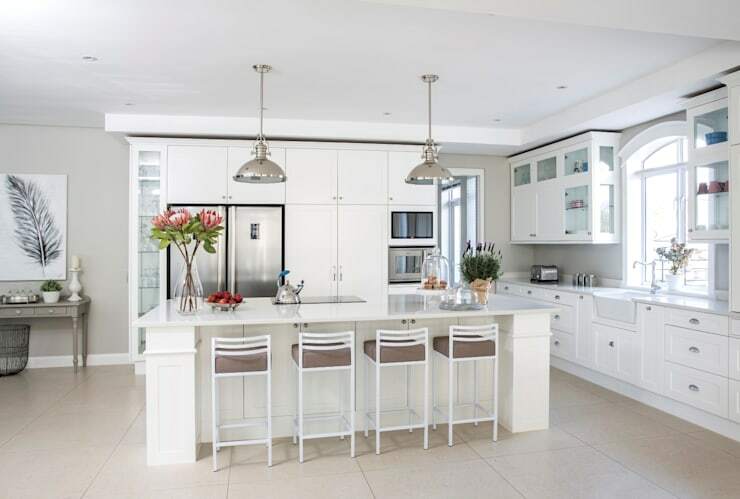 ▶ homify hint: Want your island to become the star-studded piece of your small kitchen? Coat its base in a bold colour that complements the other cabinetry. ▶ homify hint 2: Even though this layout can offer lots of storage spaces, all the cabinetry can make the kitchen feel dark and closed in. We suggest a coat of white paint (or off-white, or soft beige, or light grey, or any other neutrals in a light hue) to open up the room. And keep in mind that exposed shelving will further help to make the space feel more open. With the right materials, even a small space can look sleek and well put-together. Opt for panel-ready appliances and match them to the cabinetry and countertops for a minimalist-style kitchen. What good is a nicely laid-out kitchen if you can’t use it for cooking? Let’s see what are the best ways for Cleaning Your Kitchen Equipment.